This is actually a previously wriiten article and it exactly speaks whats on my mind about A.R.Rahman. The name A.R.Rahman needs no introduction. The man who redefined contemporary Indian music and is the pride of the entire nation and an idol for millions all over the world needs no preamble. But if you happen to be one who is a stranger to him and his music, then read on. A. R. Rahman or Allah Rakha Rahman was born actually A. S. Dileep Kumar on the 6th of January in the year 1967, in Madras (now Chennai), to a musically affluent Tamil Mudaliar family. Dileep’s earliest memories of the studio are with his father. On one of those visits, a music director Sudarshanam Master found the four year old playing a tune on the harmonium. He covered the keys with a cloth. It made no difference. Dileep replayed the tune effortlessly. This impressed the music director who suggested that he be trained in music. Dileep started learning the piano at the tender age of four. He recieved his early training in music from Dhanraj Master. He also played on the orchestra of M.S.Vishwanathan, Raj-Koti and Ramesh Naidu and accompanied Zakir Hussain and Kunnakudi Vaidyanathan on world tours. He also appeared playing the keyboard on a few popular music shows on televison like ‘Wonder Balloon’ on the Madras Doordarshan channel. He also supposedly composed a few short pieces of music in Ilaiyaraja’s films, a notable one being the theme music in K.Balachander’s ‘Punnagai Mannan’. All this experience enabled him to earn a scholarship to the famed Trinity College of Music at Oxford University from where he obtained a degree in Western Classical Music. He came back with a dream to bring an international and contemporary world perspective to Indian music. After he returned, he continued to be a part of various local music troupes. He was also a part of local rock bands like Roots, Magic and Nemesis Avenue where he performed with his future colleagues like Suresh Peters, Ranjit Barot and Sivamani Anandan. This, he says, was a very valuable learning experience. Thus Dileep came to be totally immersed in music. The only source of joy to him was music. The year was 1991. Ace Tamil movie director Mani Ratnam was on the lookout for a new composer to give music for his films. His long standing fruitful association with the doyen of Tamil film music Illaiyaraja, which had spanned over 10 films and as many years had come to an end when the two had had a fallout after the latter reportedly made some sarcastic comments during the making of Mani Ratnam’s then latest film ‘Dalapati’. One day, at an awards function for excellence in the field of advertising, Mani Ratnam chanced upon a young man who received the award for the best ad jingle which he had composed for the popular Leo Coffee ad. At the celebrations party that followed the awards presentation ceremony, Mani Ratnam was introduced to the young composer by his cousin Sharada Trilok of Trish Productions for whose company the young man had produced some outstanding work. Sharada had words of high praise for the young composer. Mani was curious and requested him for a sample of his wares. The composer readily complied and invited the director over to his studio. Mani Ratnam turned up at the studio only after six months, where the 24 year old lad played out a tune that he had been pushed into composing by his school friend G.Bharat alias Bala when they both had been greatly disturbed by the socio-political tensions in South India over the Cauvery river waters issue. Listening to the tune that was played, Mani was hooked instantly. Without a second thought he signed on the composer to score the music for his next film. That film did not work out but Mani signed him on for a new film which was to be produced by the veteran Tamil director K.Balachander for his respected ‘Kavithalayaa’ banner. That film was ‘Roja’. That tune would become the song “Tamizha Tamizha” in ‘Roja’. The music of the film would be a phenomenal success that would revolutionise modern day Indian film music. The name of the 25-year old composer was A. R. Rahman. And the rest, as they say, is history.Cut to the year 1998. Mani Ratnam’s then latest film, his first in Hindi and his fifth with Rahman, ‘Dil Se..’ hit the screens. The movie all but bombed in India. But the music, yet again was a resounding success. The music sold like hot cakes even six months after it was released in the market. Going back in History, the following question arises. Six years ago, who listened to Tamil music? Only Tamilians. Five years ago, what did teenagers dance to at discotheques? What else but Michael Jackson, Dr.Alban or the latest Western dance hit of the day. But one man singlehandedly changed all that. With his universally appealing tunes, A.R.Rahman has demolished all conventional rules in Indian film music. He amazes with the manner in which he seamlessly integrates traditionally incompatible harmonies. If anyone can make a perfect potpourri of the latest dancehall rhythms, electro-pop, Latin melodies, Western and Indian classical and pepper it all with a local folk touch or even something as otherworldly as Reggae and serve it all in a contemporary Indian manner that mesmerises listeners, it is A.R.Rahman. His music transcends all barriers – geographic, age or linguistic. Everyone from 6 to 60, Kashmir to Kanyakumari, as the cliché goes, are fans of his music. He was the first to successfully and solidly bridge the gap across the Vindhyas with Hindi speaking denizens who did not understand one word of Tamil enthusiastically lapping up his music. He gave film music a trendy legitimacy, a legitimacy that made Indian youth who were till then ashamed of admitting in public that they enjoyed Indian film music, dance to Humma Humma, Muqabla Muqabla, Musthafa Musthafa and Chaiyya Chaiyya at every pub, club and disco. Overnight, Indian film music considered ‘infra-dig’ by the youth became ‘cool’ and ‘hep’. All in all, quite arguably, no one has influenced Indian music as much as Rahman has in recent times. hi preethi.. i’m insearch of arr’s leo coffee audio.. i found ur link when i searched in google.. if u have it can to send it to me?? i have remixed two songs for RemixRahmansAda contest. please visit http://www.kumarsplanet.blogspot.com and share your views. i love all the songs of A.R Rahman. He’s simply great. Wish him all the best for his future and hope to continue hearing his lovely songs. 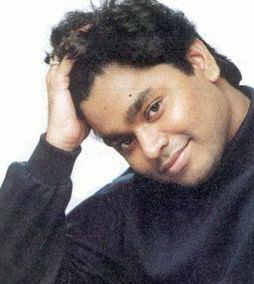 hi iam the BIG fan of ARR !! i love all the songs of him !!! keep it up Mr. ARR !!!!! You are the best. and best music director in the world. im really crazy about you. i wish you all the best. and happy new year…. i like to listen to your songs always. now also i`m listening to your song. i like your songs since my 7 years. im so happy to write u. im a nurse. i like to cure the patients. but my all suffers will disappear from your songs..
my aim is to collect your all songs..
hi…………..i am a great fan of ar…………….wish he gives more and more to all of us…………..u r d legend nd ur d best………………………. Wow! Wonderful and Fantastic Rahman! I have no more speech about him escape that he is better then the BEST. hai..sir… congratulations sir… im madhuri from ponduru at srikakulam in a.p. my village very papulor 2 khadi sir… im ur fan.. i love ur songs sir… i like ur simplesity.. all d best sir.. im waiting 4 ur reply sir..